and confirm that with [ENTER] or press the [OK] button. In the Win-8 "System Properties" click the Tab "Computer Name and now click the Button "Change..."
In "Computer Name/Domain Changes" You can change the name and the membership of this computer. PS: Use a wizard to join a domain or workgroup, click ... Network ID. See also: ... Start the Windows 8 cmd.exe in administrator mode! (Image-2) Windows-8 : Computer Name Workgroup Domain Changes! Windows uses the following information to identify your computer on the network. MY WORKGROUP Computers not showing IN WIN 8 WIFI, setup a workgrup in windows 8 and 8.1? Change name on your computer windows 8, how to change network id in windows 8? 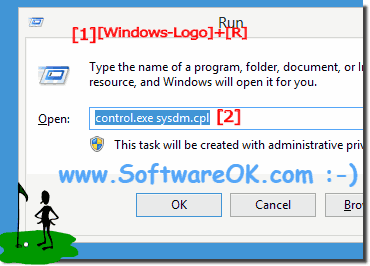 How to change name computer windows8, windows 8 workgroup name? Windows hostnames and workgroups, how to shut check workgroup? How do i change the name of my computer on windows 8, windows 8 and 8.1 how to get pc name? How to change your computer name in windows 8, change the pc name in windows 8? Change my workgroup name windows 8 and changing name of computer in windows 8 and 8.1? How to change your computers name on windows 8 and 8.1 and how do you see what your windows 8 computers name is? Change the pc name in windows 8? How do i change my pc name in windows 8, windows Network Workgroup Name windows 8? How to check what is my computer name for windows 8 and how do you change your computer name on windows 8? Windows 8 and 8.1 change computer name cmd, how to change name in windows 8? How to change the name of my computer on windows store, add windows 8 computer to workgroup? Change workgroup in windows 8, windows 8 and 8.1 computernamen? Change the name of computer windows 8, what is workgroup in windows 8? Chane windows 8 workgroup name? Windows 8 use a workgroup, how to change account name on windows 8? How to change domain in windows 8 and 8.1, how to enable the domain settings in windows 8? How to change computer name on windows 8 and 8.1, win 8 change pc name? How to change a domain on windows, cannot see workgroup computers windows 8? How to change name in windows 8? How to change domain in windows 8 and 8.1 and how to enable the domain settings in windows 8? How do u change the name of the username on windows 8, can i change my computer name? windows 8? How to change the domain on windows 8? How to change computer name in windows 8, computer name domain changes cpl? Windows 8 system properties, how to change computername in windows 8 and 8.1? Where in windows 8 do you change the workgroup name, how to turn on workgroups in win8? How to change workgroup in windows 8? Change workgroup windows 8 and 8.1, windows 8 change name? How to change domain name in windows 8, how can I change the name of my computer in windows 8 release preview? 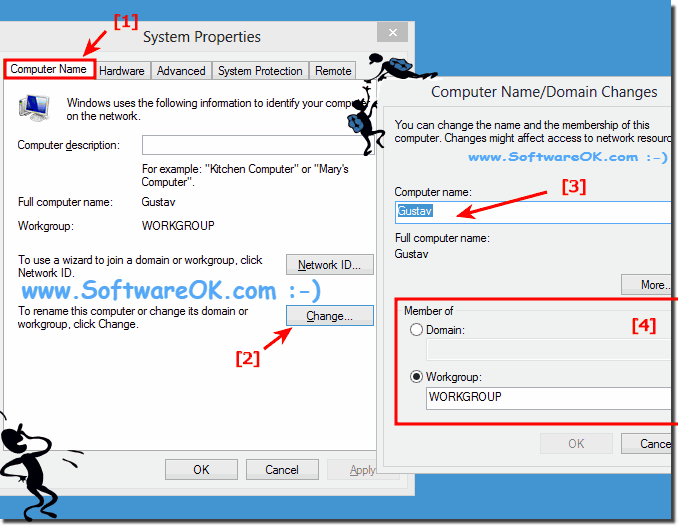 How to look at system properties on windows 8, change from workgroup to domain windows 8? Set up workgroup in windows 8, find workgroup name windows 8? How can i change computer name in windows 8? Computer name domain changes cpl, how to change pc name in windows 8? How to create workgroup in windows 8, windows 8 and 8.1 computer properties? How do i change my computer name and picture in windows 8, how can i chenge may competer name windows 8? How to change name windows 8 and 8.1 comptuer, windows 8 change workgroup member is disabled?